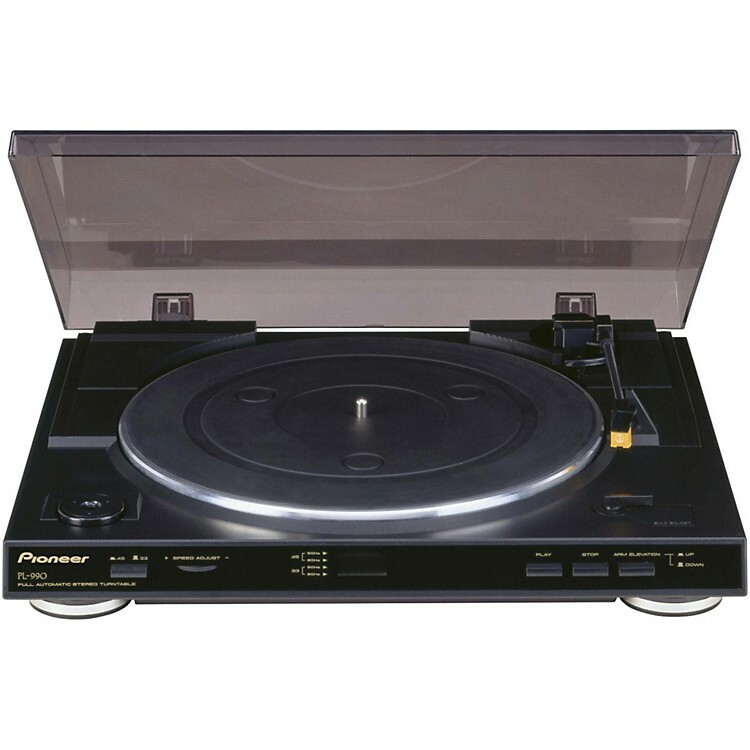 2-speed stereo turntable for music lovers. Do not trust your vinyl to any record player. This fully automatic stereo turntable features a low-mass straight tone arm, precise DC servo motor and built-in phono equalizer. Simply connect to any auxilliary/line input on our amplifier or mini system. Dust off those records on your shelf and give them new life!